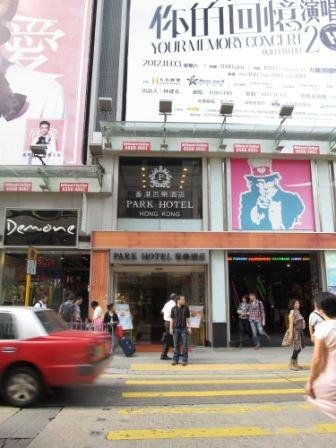 Hong Kong Kowloon hotel is a list of hotels and service apartments by districts. Some of my friends, family and/or I stayed in some of them that you can simply click "Our review" to see our comments. This district is at the border line of Tsim Sha Tsui which you still can take the advantages of the nearby shopping malls, restaurants, some of the tourist musts and entertainment. However, the Hong Kong Kowloon hotels in this area are definitely not as luxurious as in Tsim Sha Tsui. This district is still transforming from industrial, warehousing to commercial. One of the biggest Hong Kong banks headquarter, the Hong Kong Standard Chartered Bank, moved here. Unfortunately, it is literally far away from every tourist spots. People hate it and love it. This is the most crowded area in the world. As I always say that different people have different preference. This is the district to show you what it meant. Some people, like Perry and I, always like to stay away from this district. Perry stayed in a Hong Kong Kowloon hotel in this district back in 2000. He loved the hotel. But he hated the crowd and the surrounding area. Since then, we did not go back to that same hotel. But if you love to be in the crowd and shop in the Ladies Market. No doubt, you will fall in love with it like a snap. This district in on the border line of Mong Kok. It definitely stays away from the crazy crowdiness from its sister district. This is a very old residential district. However, if you love high-tech electronics, gadgets and want to have fashion shopping for good quality, but low price clothing, staying in a Hong Kong Kowloon hotel in the area may fit your budget and schedule. This district is a big, long area. It includes Tsim Sha Tsui and Tsim Sha Tsui East. It has the cheap Hong Kong Kowloon hotels, several 5-star hotels, where Elton John, Bon Jovi and other celebrities stayed when they were here, to the Peninsula Hotel which is the top 100 hotel in the world. The shocking discovery during my research was that there are several "hotels" listed in a world renowned traveling website. They are all under the same address which I did NOT include on my list here. It is under a building name called "Chung Hing Building". They spelled them slightly different to distract you. If you somehow come across from any "hotels" or "hostels" in that building. STAY AWAY! However, if you could find a great Hong Kong Kowloon hotel deal here, you would feel like in heaven. There are several big shopping malls, tons of luxury stores, restaurants (any cuisine you can think of), museums and places for you to have different kinds of entertainment. You can take the Star Ferry tour, walk on the Avenue of Stars, take a Hong Kong Junk Boat ride, watch the laser show of Symphony of Lights and appreciate the lights during Hong Kong Christmas and Chinese New Year. Just passed Tsim Sha Tsui and Jordan area, this is an old residential and commercial area. Temple Street is right there for your to check out at night. Yeah, you will discover a very different nightlife here. A few blocks away from Temple Street is a cinema where you can find a lot of alternative movies. My sister and I used to go there. The Hong Kong Kowloon hotel varies here as well. Most of them are very cheap in price. Some of them provide very good quality of services.